"OUR SERVICE OUTSHINES THE COMPETITION"
At "NOVA LANDSCAPES" we have worked hard to satisfy our customers for over 35 years! Many of our customers have been with us from the beginning. When we say "OUR SERVICE OUTSHINES THE COMPETITION" We mean it! 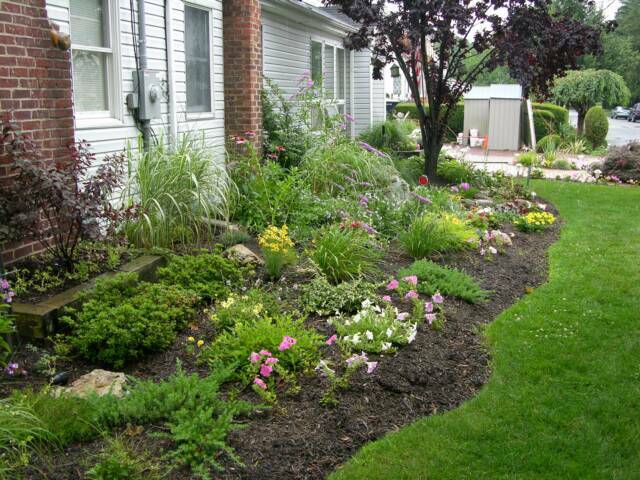 We are a fully licensed and insured landscape company serving the North Shore of Long Island. Nova Landscapes provides following lawn services: Lawn Cutting, Lawn cutting services, Weekly lawn services Landscaper services Landscape Services, Lawn maintenance, Lawn Cut, Lawn Thatching, Lawn Dethatching, Lawn Aeration, Lawn aeration services, Lawn Aerating, Sod lawn, Sod lawns, Sod Lawn installations, sod lawns installed, Installation of Sod, Lawn repair, Lawn Renovation, Lawn Renovations, Seed Lawns, Seed Lawn installations, Installations of Seed lawns, Lawn Fertilization, Lawn Pest Control, Lawn Weed control, Insect control lawns, Lawn insect control, Tree work, Tree planting, Shrub planting, plantings, flower installation, flower gardens, perennial gardens, Landscape Design, Landscape Installation, Shrub pruning, Tree pruning, Gutters cleaned.